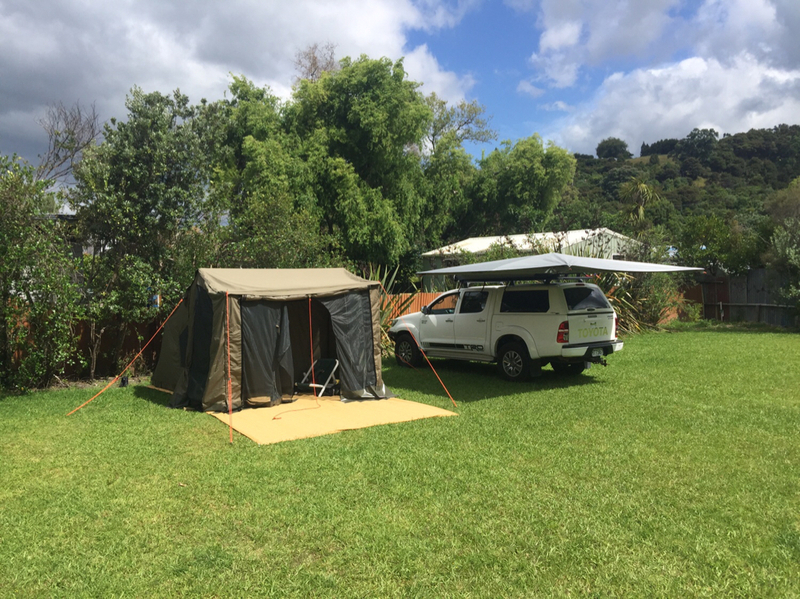 Looking at something like the Oztent RV1 or one of the smaller Blackwolf ones for 4wd camping trips - Canterbury high country/ South Westland areas. 2 people plus a dog. I am pretty sure I would be getting the fly plus the extra panels to close in the front awning. Anyone used/using one? How do they handle the West coast rain or a Canterbury norwester? Any first hand information would be useful. 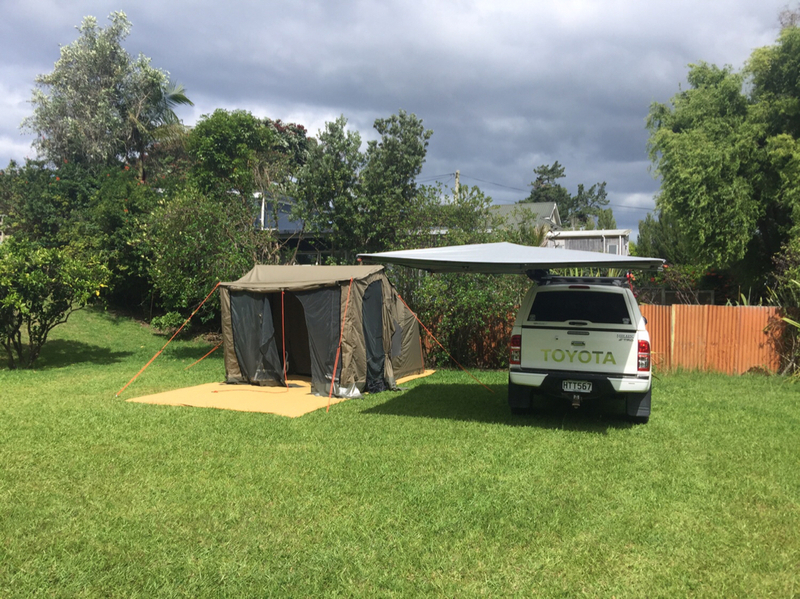 Curious on 4wd tent set ups as well seen the ones on Australian videos, they don't look like they would handle the nz conditions. 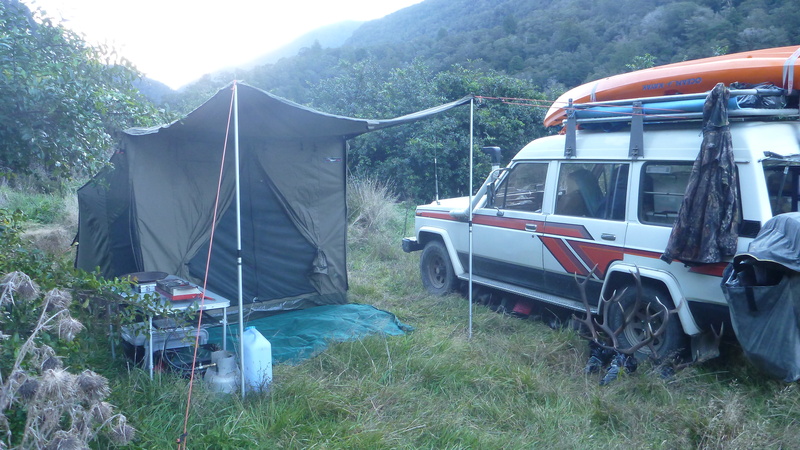 We have an OZ Tent RV3 served us well for 5 yrs waterproof and survived some very strong winds. 1 minute to set up and put away. Down side is the space to put it, ours travels on the roof rack. We usually only stay one or two nights before shifting so the ease of erecting was very important. The extra sidewalls are worth it in bad weather for the space to cook out of the wind and rain. Shamus, hotsoup and 223nut like this. I have an RV5. Excellent tent and definitely get the full set of extra side walls. 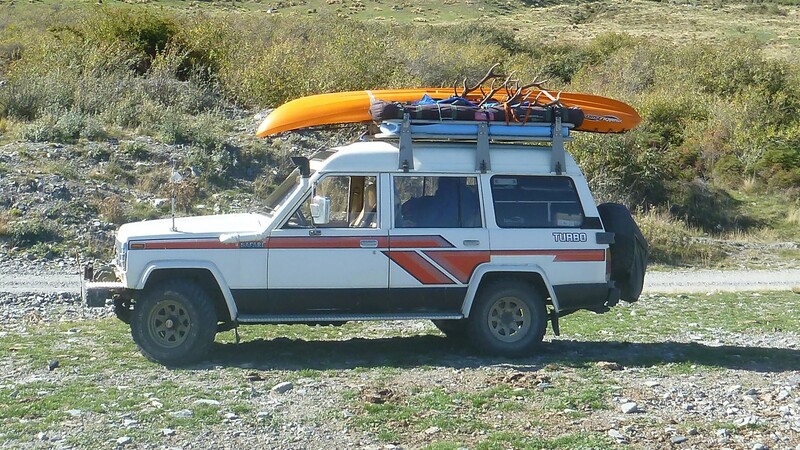 Mine rides the roof rack as well as it won't fit in most vehicles and if it's been raining, why put a wet tent inside the vehicle. Look at getting a mesh tarp as a ground sheet to help protect the tent floor and to give you a ground cover for the extension. Kings 4x4 do a cost effective one. I also have an awning fitted to the roof rack which is magic. It's an Ali-cab which is wickedly expensive but it is self supporting and needs no poles. This makes it ready quick to deploy and pack away agin if you are stopping for lunch and need shade or rain cover. It does have one pole built in and tie downs on watch corner if the wind is really blowing. Integrates well with the RV5 giving huge camping space.. I use some shade cloth as seen in photo 2 a few small tent pegs keep it in place.Sand and dirt drop through good when the sides are up. So is it worth getting the fly for the Oztents or is it not really necessary? Thanks for your replies, great to hear some first hand experience. @Shamus i have the RV2 which is a 2M x 2M tent. If I was to do it all again i would opt for the RV3 ... I think it is. As it has an extra 400mm The RV 2 is kinda tight with 2 plus gear. It would be a better option than getting the zip in panels as they are bloody expensive. Even the RV2 has to sit on a roof rack and the next size up in floor space has a folding leg panel so it is the same size as the RV2 when folded up. I just added the strip that lets you fit it to a caravan / camper ....that is awesome for giving extra space as well as making the awning pretty stable. Also use 2 galv poles with an adjustable ridge pole between them ( from K mart or Supercheap ) in the center to give the roof a peaked pitch. Last edited by johnd; 30-12-2018 at 09:31 AM. 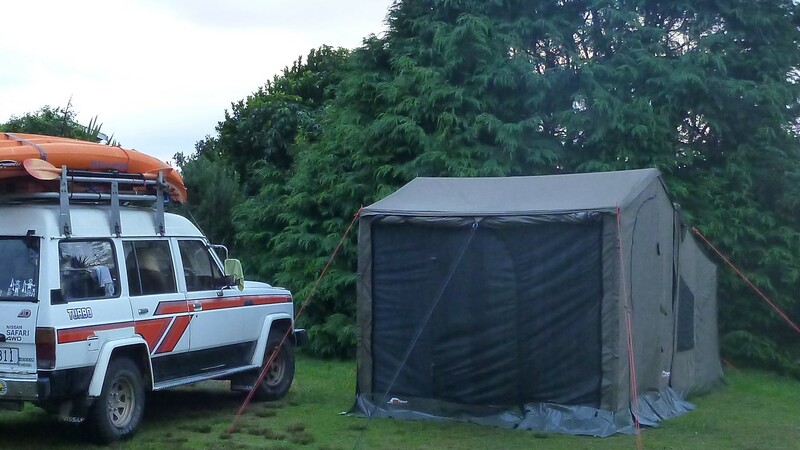 Tent looks good mate, pretty sure I will be getting one of these - the awning is pretty cool too!